[Thanksgiving and Christmas setting] When her norm is thrown topsy-turvy, Maggie Boland sets out to redefine her life using the tools she loves most-- spreadsheets, lists, and logic. Barbara, her best friend from childhood, enthusiastically lends her support in her uniquely vibrant and creative way. When the two find themselves thrown into a murder investigation, the adventure is unpredictable and life-changing. 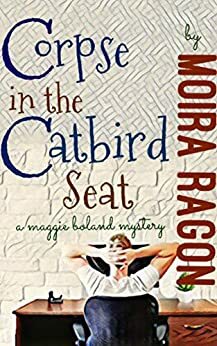 Filled with comedy, this cozy mystery follows sixty-two-year-old Maggie as she strives to create herself again in the autumn of her life. I'm sure every reader has that experience when starting a book and realizing that, although there's nothing really wrong with the story, it's just not catching one's interest. Despite interesting characters, cats, and a good premise, it just wasn't my cup of tea; it was English Breakfast, while I'm more of an Earl Grey person. I was surprised that the site where I discovered the book didn't have it listed as Christian mystery, for the main character's church seems to loom large in the text. I'm afraid I did find (spoiler alert!) the widowed main character's "dates" with her deceased husband a bit macabre. In any case, I didn't finish reading the mystery. But if you find the synopsis intriguing, give it a try; it wasn't badly written or edited, and it might be perfect for another reader. When book includes new beginnings, good friends, mystery and a hint if romance it has it all. I will read more of this author's work. 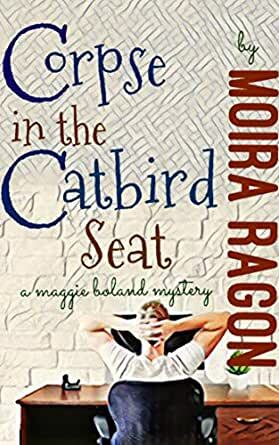 A new widow and an unexpected cat take on a murder mystery. With the help of her friends and a mysterious cat. She helps solve the case while learning to live again. A wonderful plot with characters that you can almost reach out and touch. Okay I guessed the killer (but not the motive) early on but still found myself caught in the spell woven by the author. She has recently lost her husband (to cancer), sold their business and home whilst moving herself into a small house suitable for one. When she and her BFF (who happens to live next to her) spot the man in the coffee shop, they recognise him immediately. He is the troublemaker who even at the tender age of 8 run con schemes on his classmates and anyone else he could talk round. Now he is in town! She is still trying to get over her loss and has decided to start living again. Thus when he turns up dead she starts investigating helped by her BFF. Secrets start coming out and the list of suspects grows. Also she has had an uninvited visitor - a white Persian cat. Will she let it stay? Plus the vet's father has come to join the little tight knit community. Will he manage to break down her walls? His strategy is simple just get her used to him in small doses. Will the identity of the killer come out? Wonderful character!